Rosie Foley hopes the Irish Rugby Football Union will have the capabilities to offer full-time professional contracts to female 15-a-side players in Ireland. After the IRFU created a professional Sevens set-up towards the end of last year, Foley feels her native country can take the next step and she insists the focus should be on closing the gap to the other leading nations in the Women’s game. “I do actually think we can do it,” Foley told TRU. “Our Sevens team got to the semi-finals in Sydney last weekend and I think that is because they have recently just been given contracts. Foley played 39 times for Ireland during her international career and now the game at the top level is continuing to advance. At the beginning of the year, the RFU handed professional contracts to 28 players in England’s Womens Squad with all eyes now on the current Six Nations, but also, the 2021 World Cup. “For us, we would like to keep up with the top teams like England,” Foley said. “We will want to push the IRFU to maybe get XVs contracts before the gap really starts to widen. “France on the other side, look very impressive again this season and then Wales, Scotland and even Italy are improving all the time. From my point of view, you are nearly looking at a two-tier system, in a sense. “England and France are really starting to push towards the World Cup and the rest of us are behind and need to make progress. You don’t want big gaps like there was in the late amateur era of the Men’s game, just before it all went professional. Ireland’s developing team will undoubtedly have learnt lessons from their opening Six Nations defeat against England last weekend. Adam Griggs’ side were beaten 51-7 by the Red Roses in Dublin, but Foley believes Ireland will benefit from the experience. “From an Irish point of view, we played England in an international back in November so we always knew it was going to be a tough fixture, but you always want to play against one of the best teams in the world,” she said. “The more you play against one of the best, the better you get. I did think Ireland gave a fantastic account of themselves. They will be very happy with the set piece and the scum, especially. I think a lot of our players learnt an awful lot from playing against England. “The professionalism of England now will bring them on further. The difference is our girls have to go back to their day jobs. They’re not getting that rest and recovery. Next up for Ireland is a trip to Scotland on Friday night and the home side will also be looking to bounce back from a surprising first round defeat against Italy. Griggs as brought in Emma Hooban, Anna Caplice and Alison Miller for the game at Scotstoun as Ireland look to claim their first victory of the Championships. “You would look at the [Scotland] result and I think you would be thinking you can absolutely get a positive result on Friday night,” added Foley. REPORT - Terrific England earn Dublin win ?? A superbly confrontational England ?????????????? got their 2019 Six Nations campaign off to the ideal start with a 32-20 success in Ireland ?? Whilst Ireland’s Women’s side look to respond this weekend, the Men’s team will also be aiming to follow suit after their defeat against England at the Aviva Stadium. Joe Schmidt’s men lost 32-20 last Saturday and this weekend, they take on Scotland in a huge clash at Murrayfield and Foley expects a response from Ireland, but also admits there will not be a Six Nations Grand Slam winner this year. She added: “At the very top tier of any sport, there is very little between the teams. England, last week, were fantastic and Ireland will have taken a lot out of it. I think when they play on Saturday, they will bounce back from it and it is about putting last week away and moving on to Murrayfield. 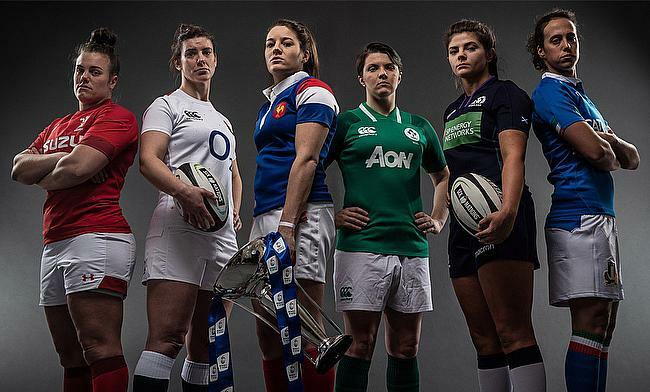 “You would say England and France are the top two sides in the Women’s Six Nations, but in the Men’s competition, they are all very close.